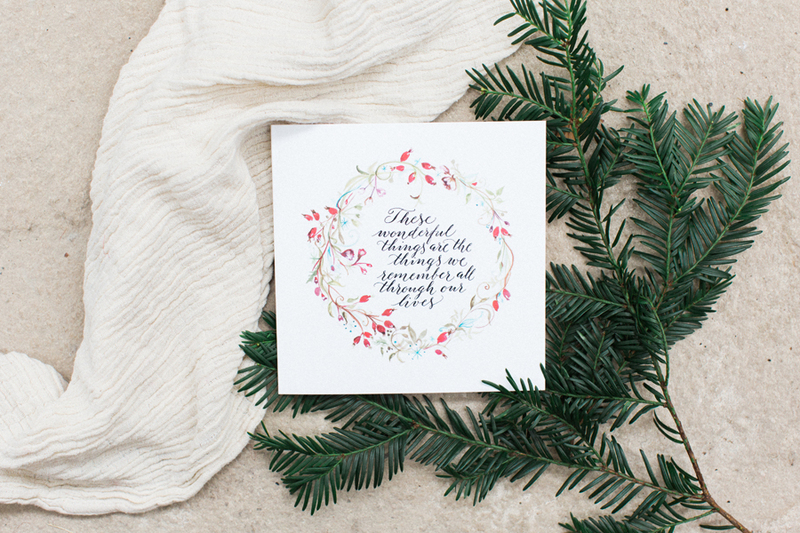 Christmas brings families closer, and is the perfect time of year to give a sentimental gift to your loved ones. 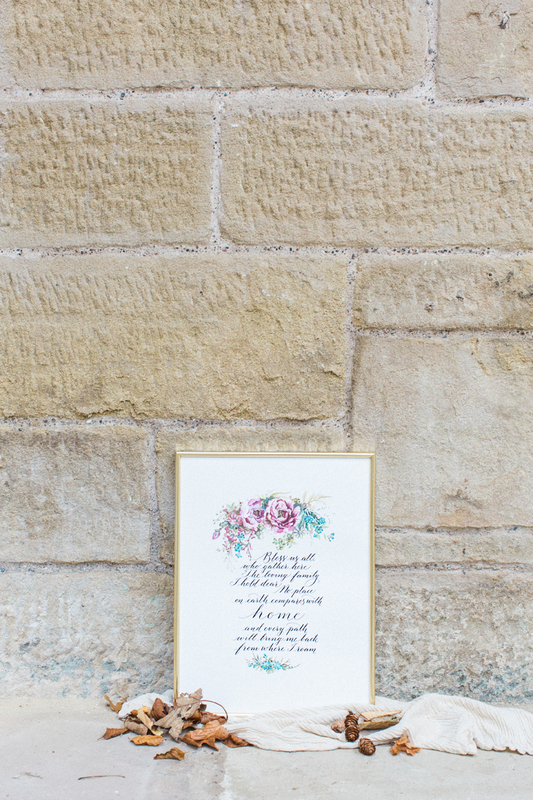 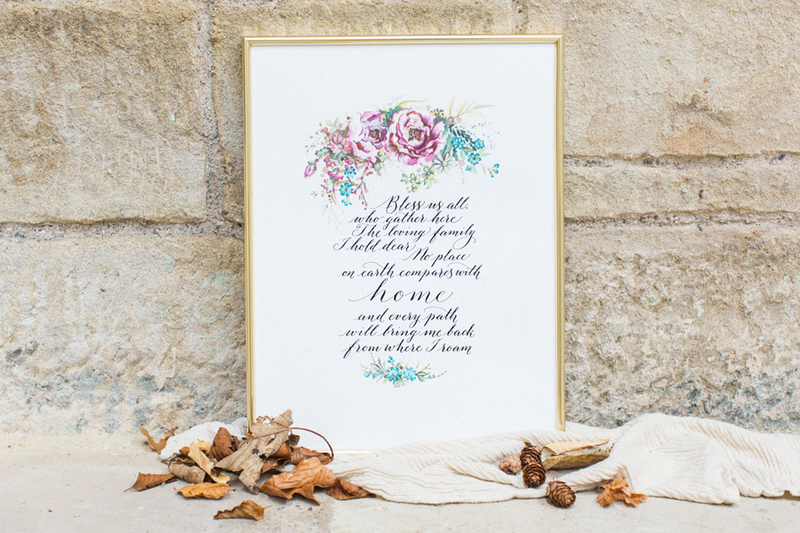 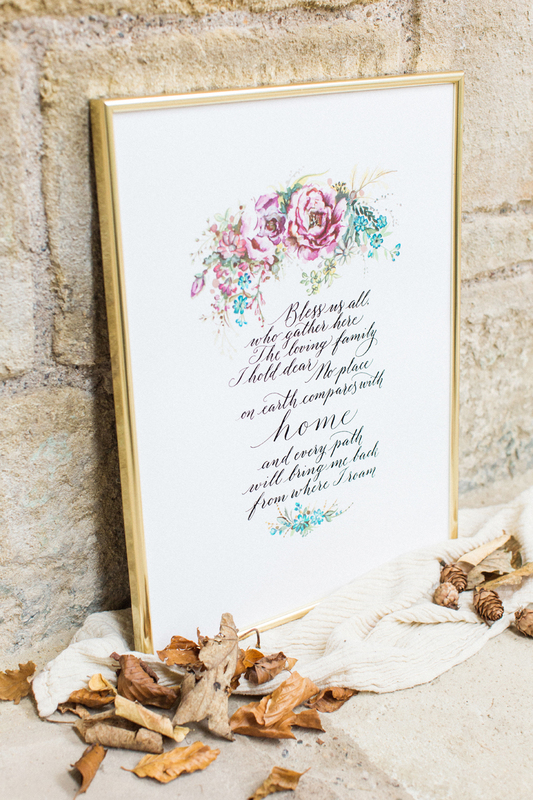 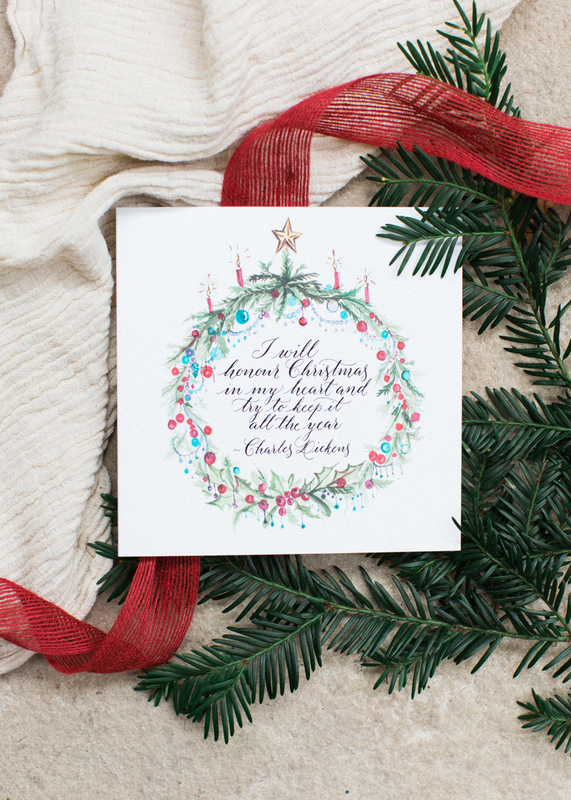 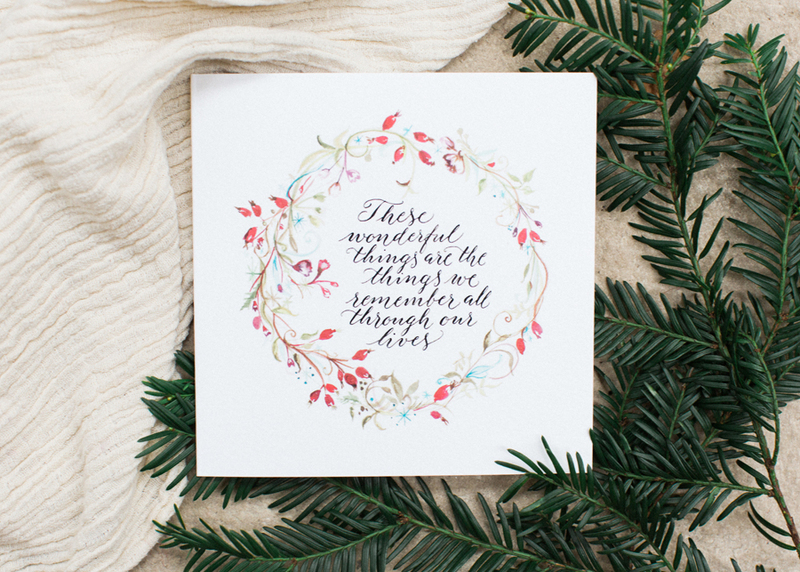 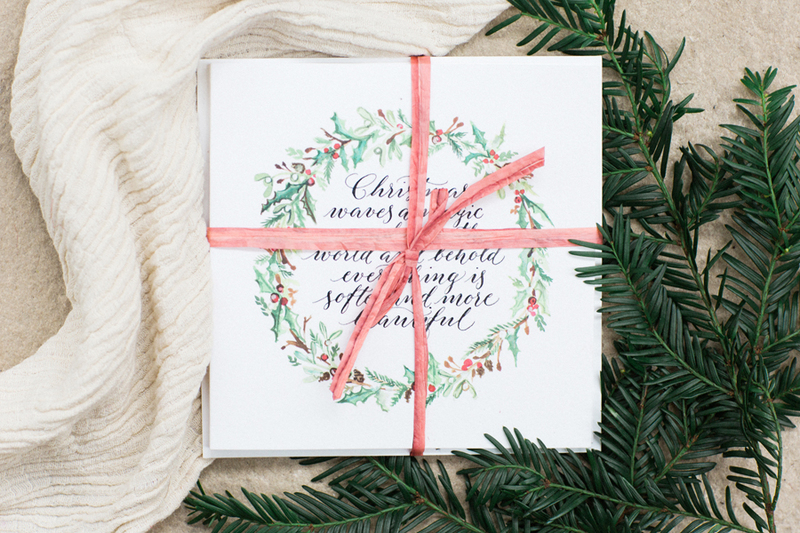 The words from a Muppets’ Christmas Carol are wonderful – I couldn’t resist writing them in calligraphy on this beautifully illustrated print by Amy Swann. 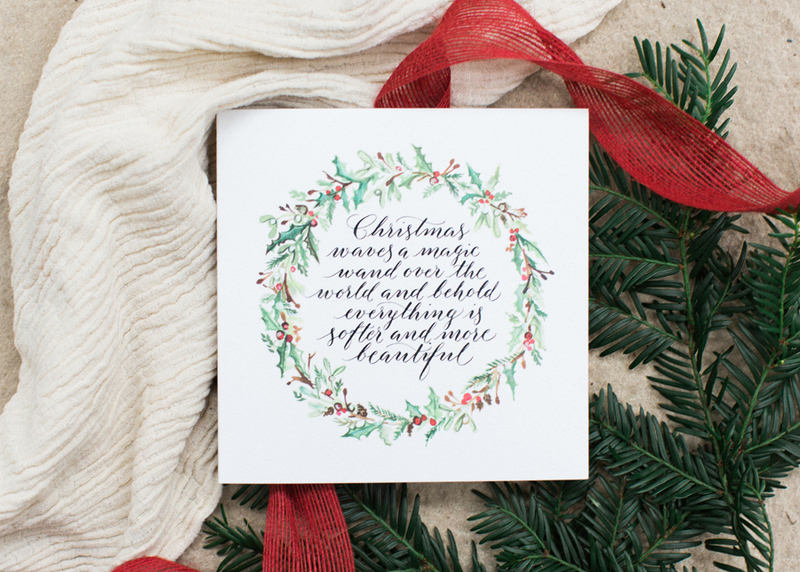 We’re selling copies at an introductory price of only £18, and you can order yours today in time for Christmas. 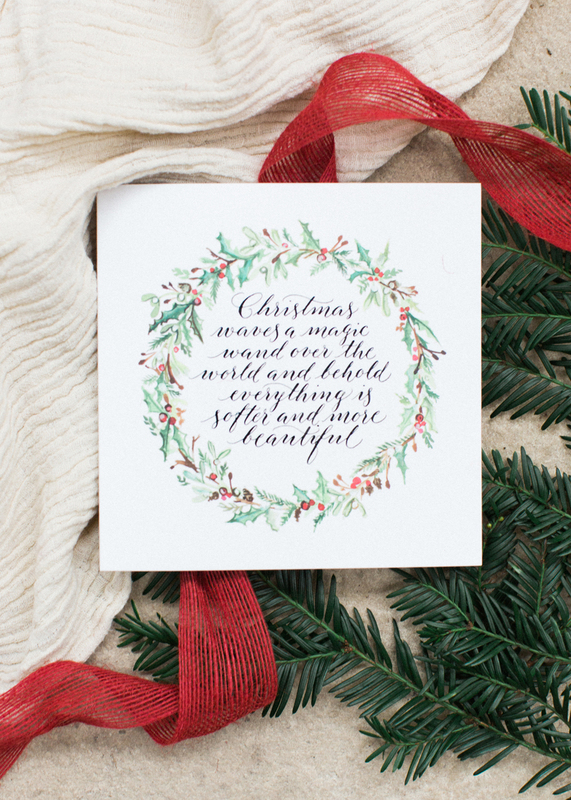 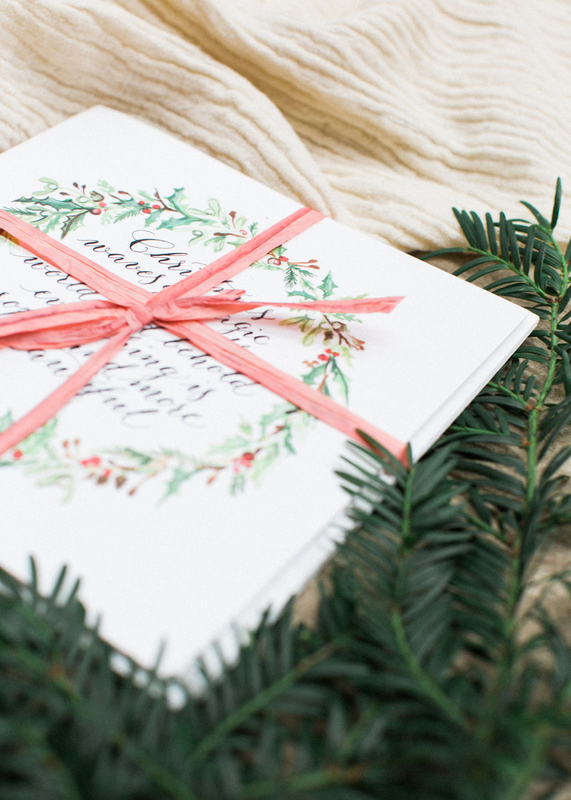 Calligraphy Christmas Cards – just a few left! 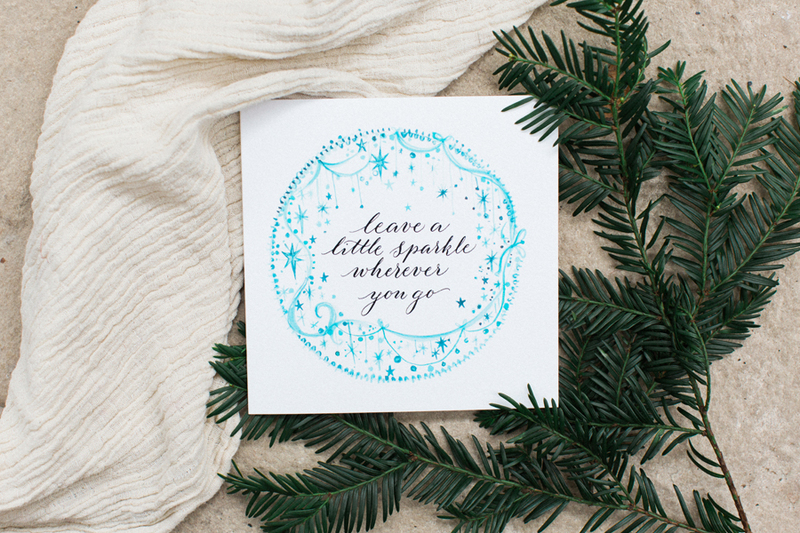 Time is running out to buy Christmas cards for 2015, and we have a few of our lovely illustrated designs left to sell: if you’d like to buy yours you can find them sold in packs of 4 on Etsy.com or as individual cards at Not On The High Street. 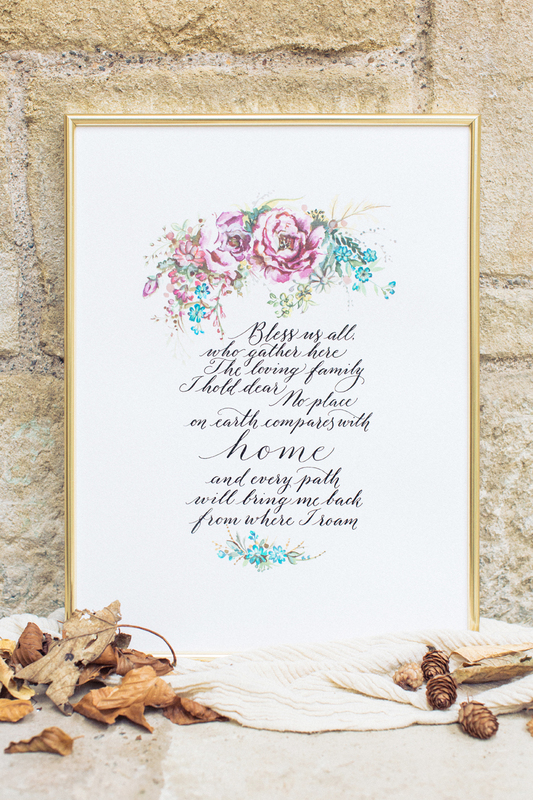 Browse here; choose your favourites; click on the links below to buy online. 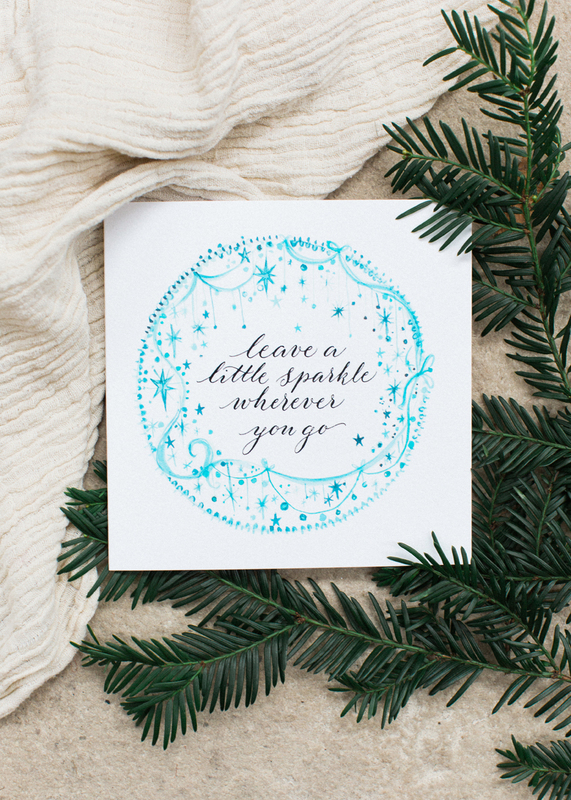 Thank you so very much for supporting an independent small business this Christmas! 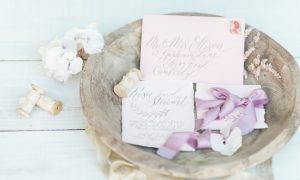 To buy single cards, please click the links alongside the images shown below. 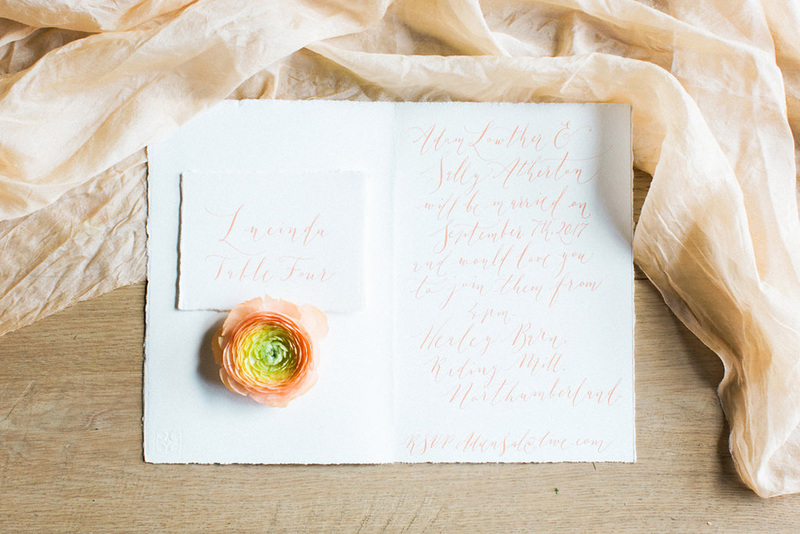 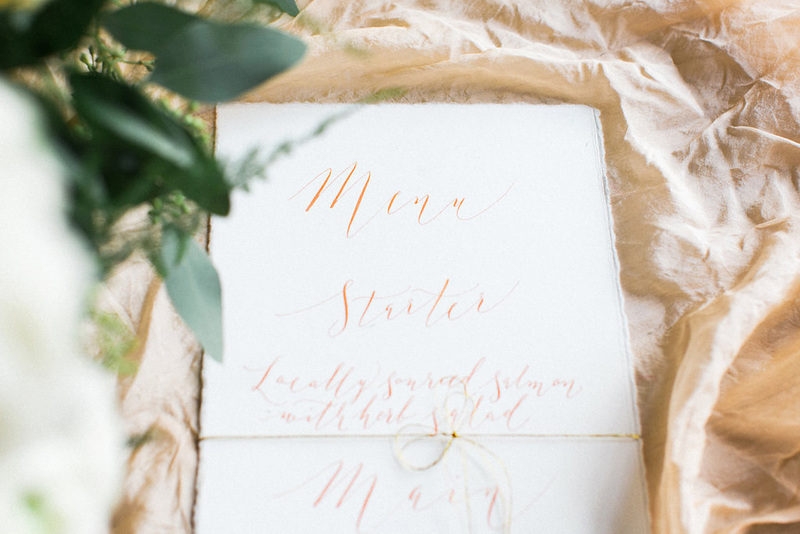 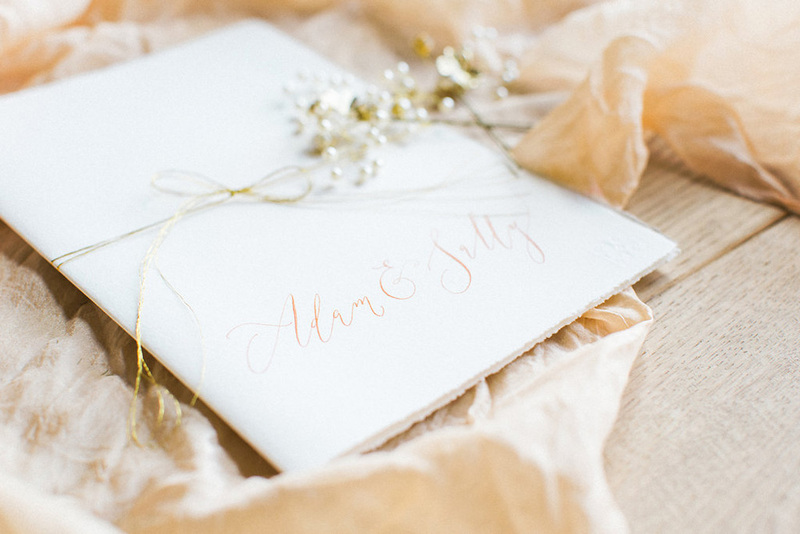 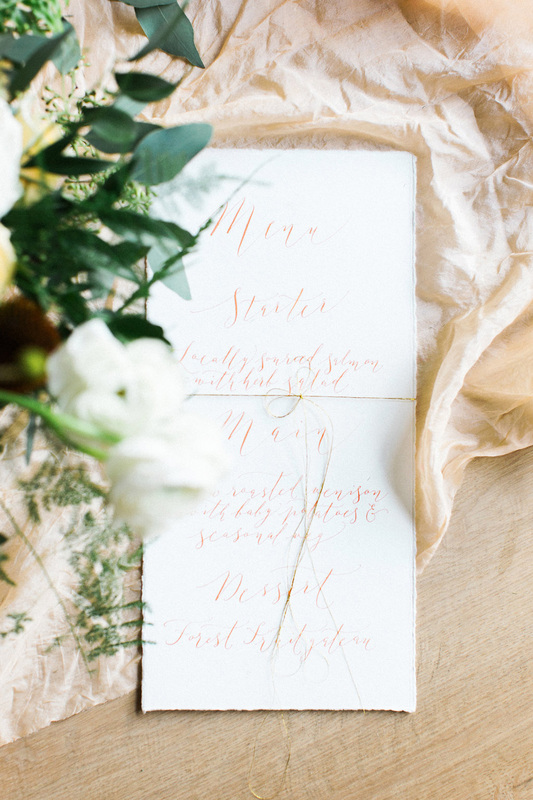 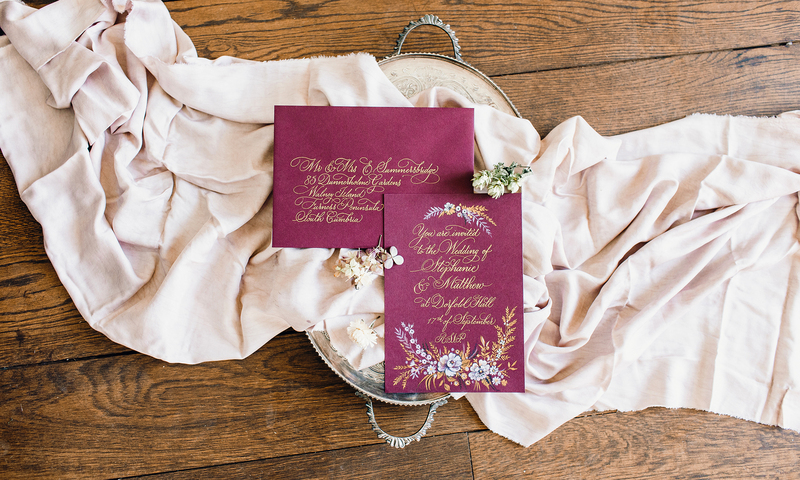 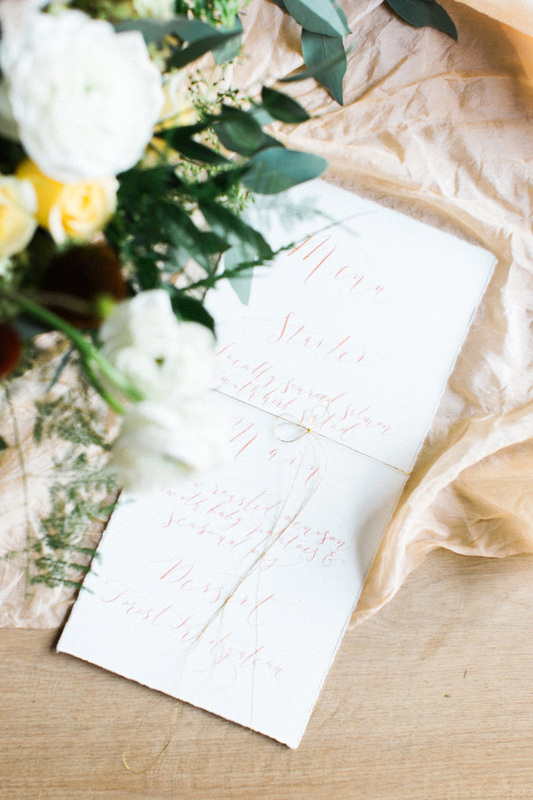 It’s been an incredible year for calligraphy and for this little business – I love collaborating with new people, and Melissa Beattie is one of the most amazing wedding photographers I’ve ever known. 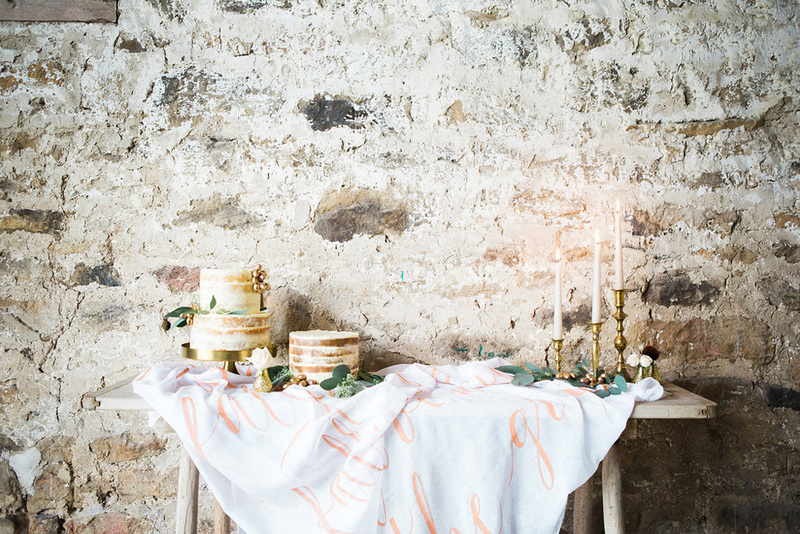 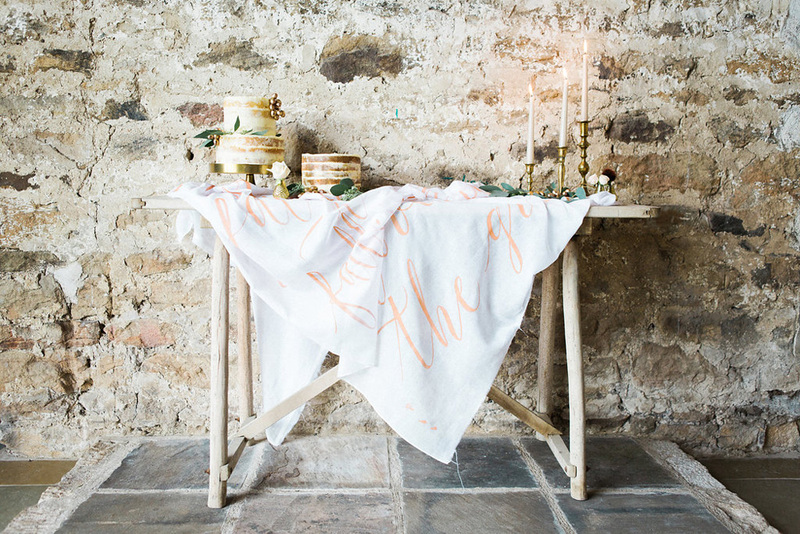 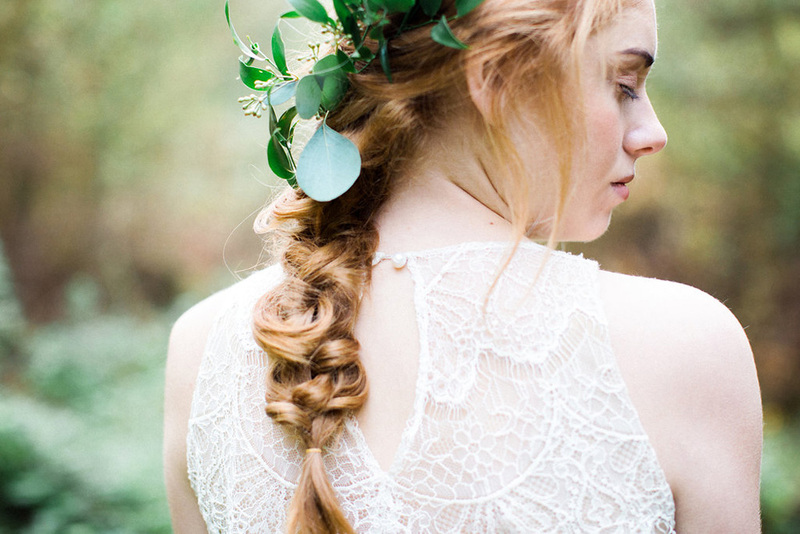 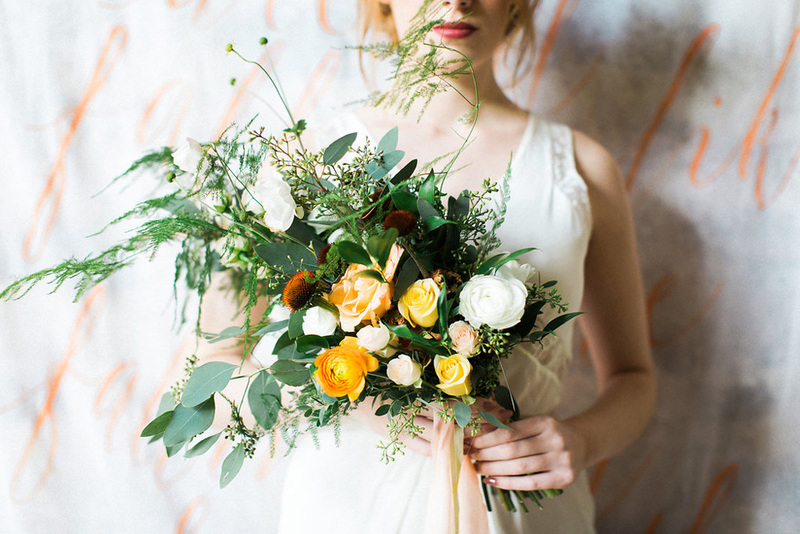 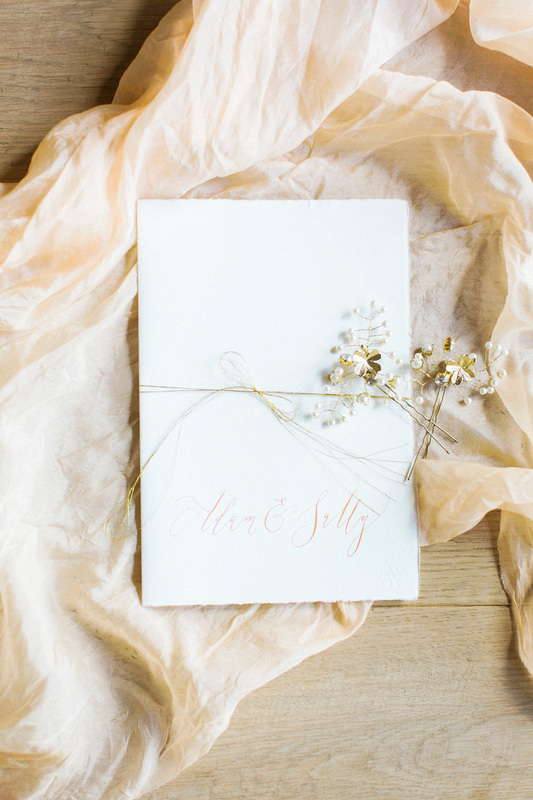 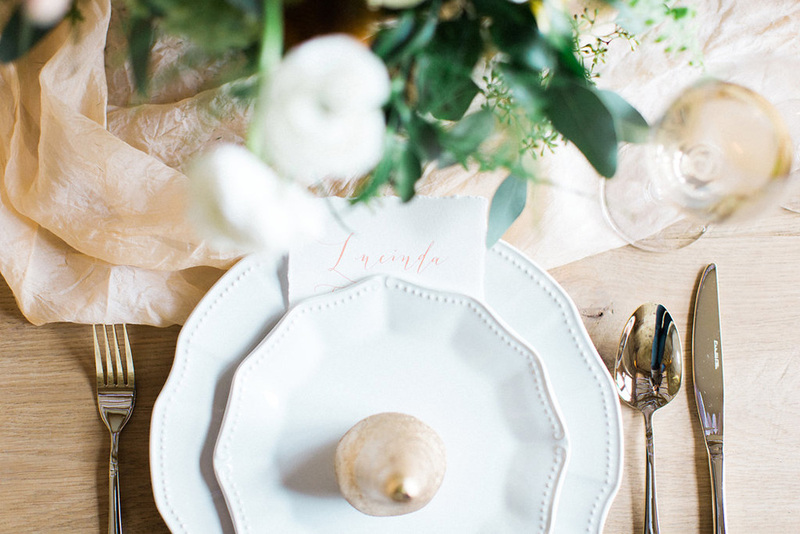 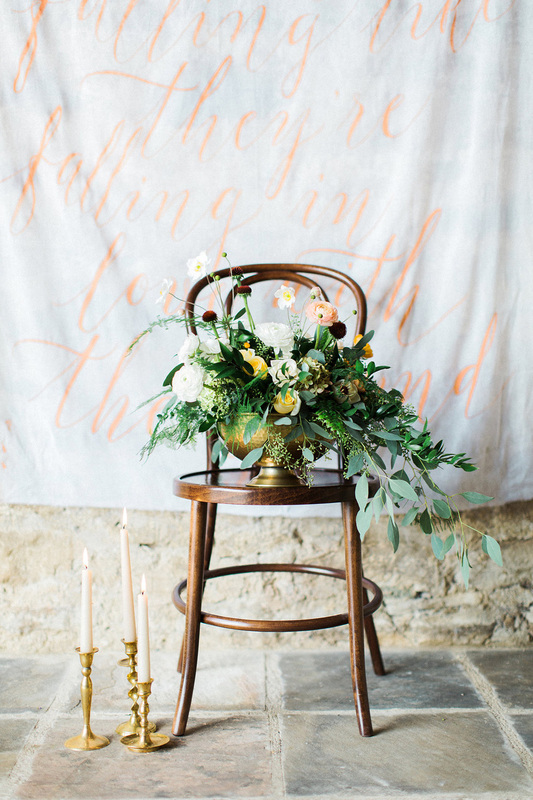 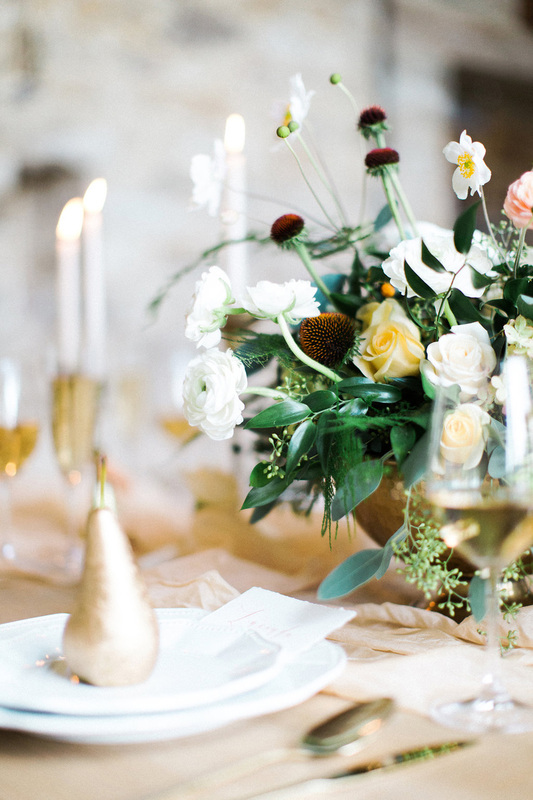 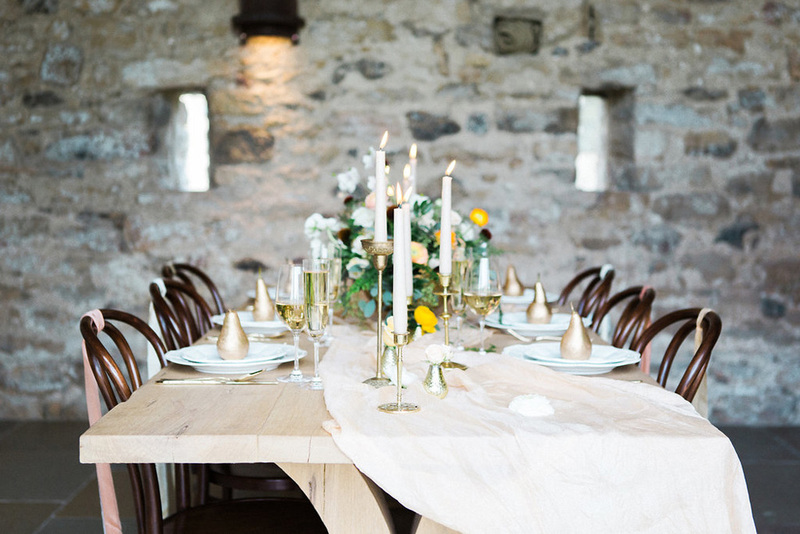 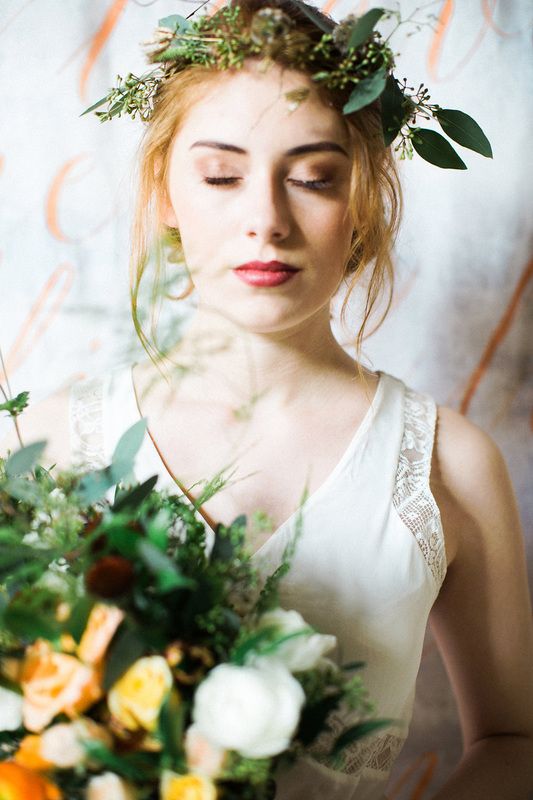 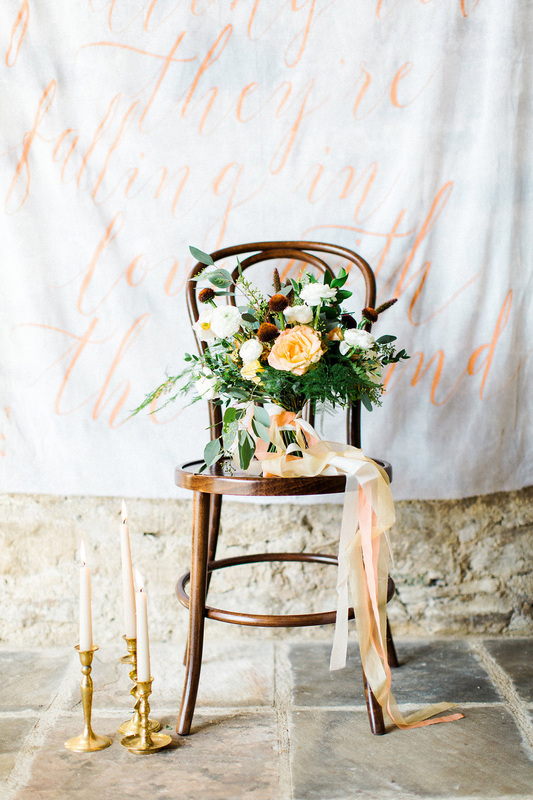 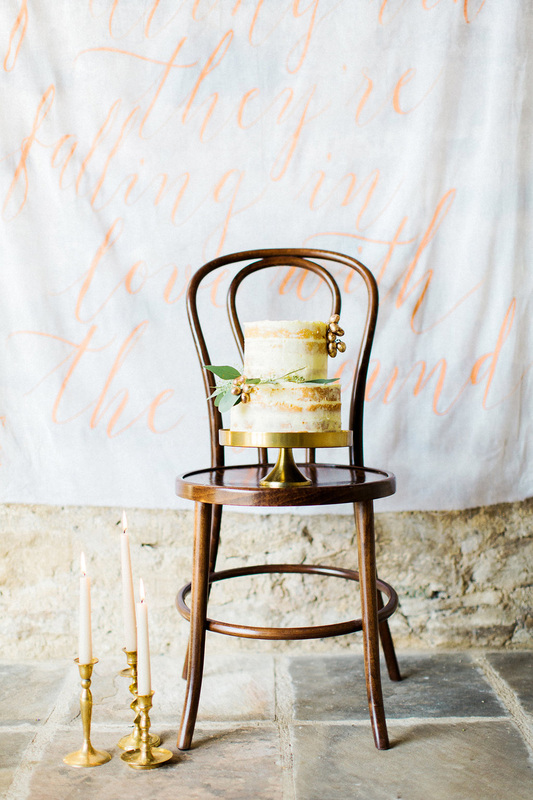 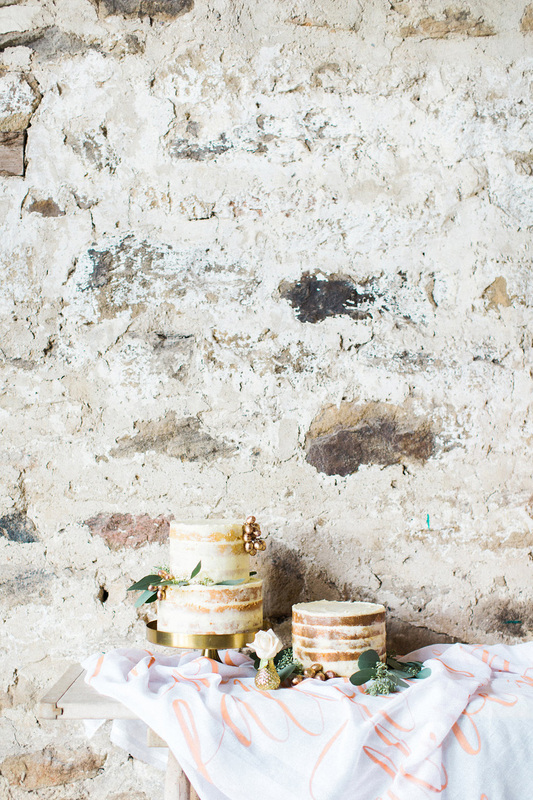 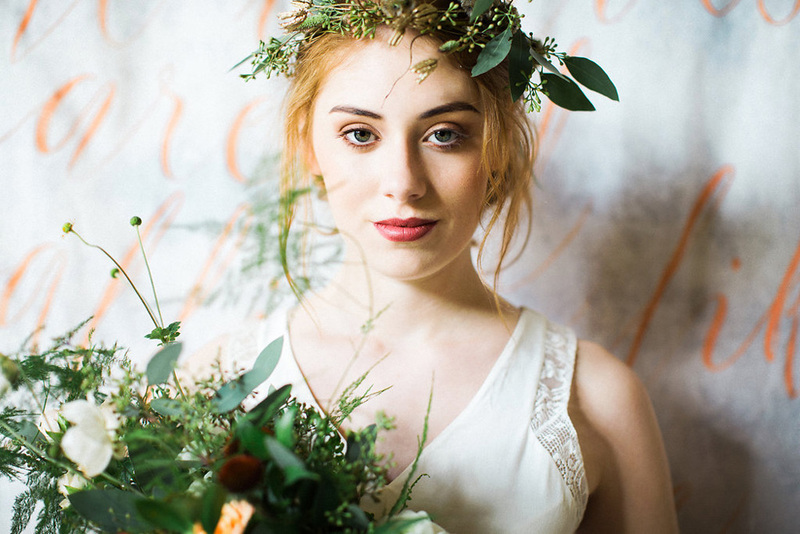 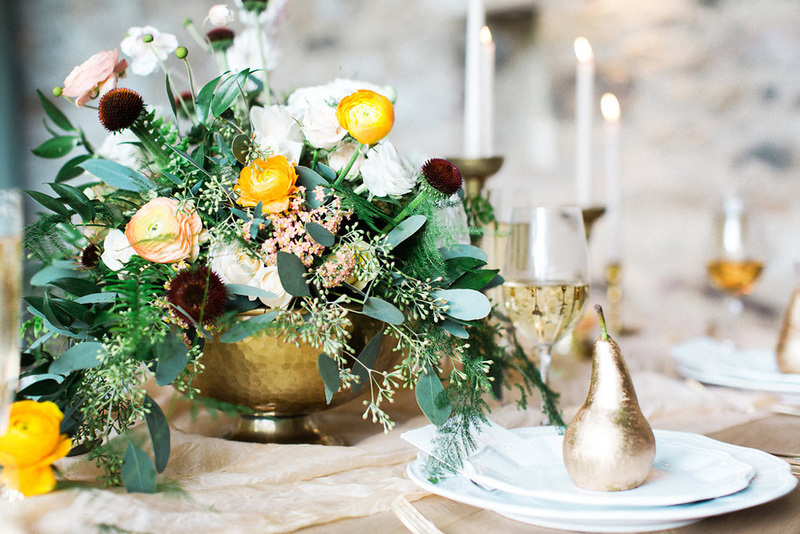 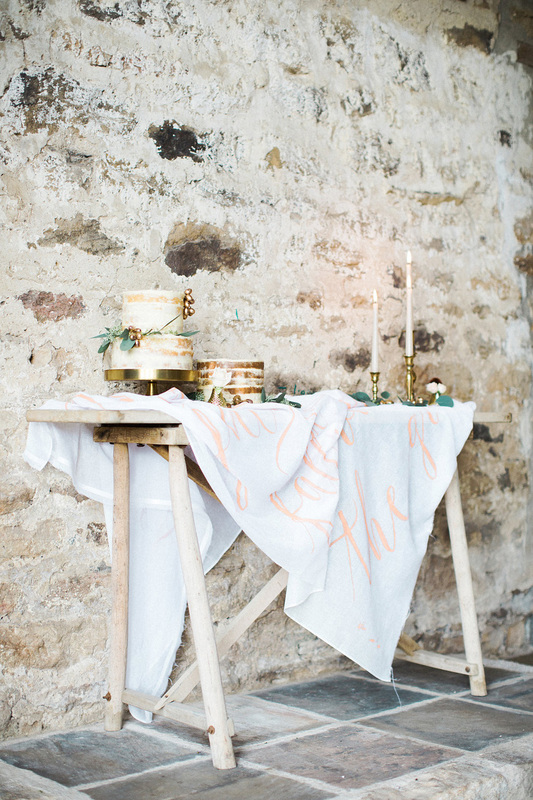 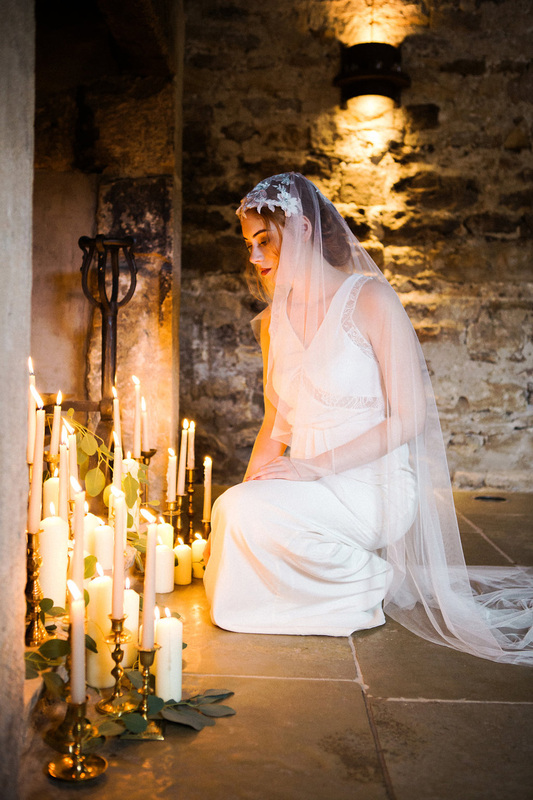 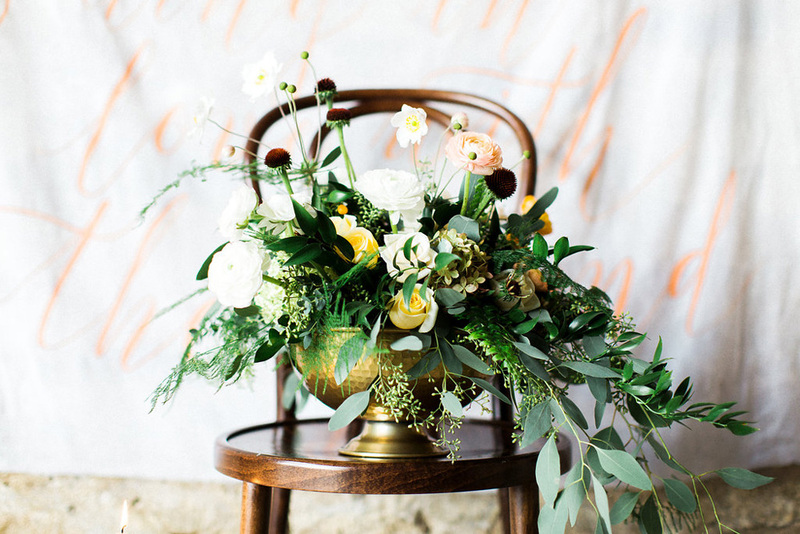 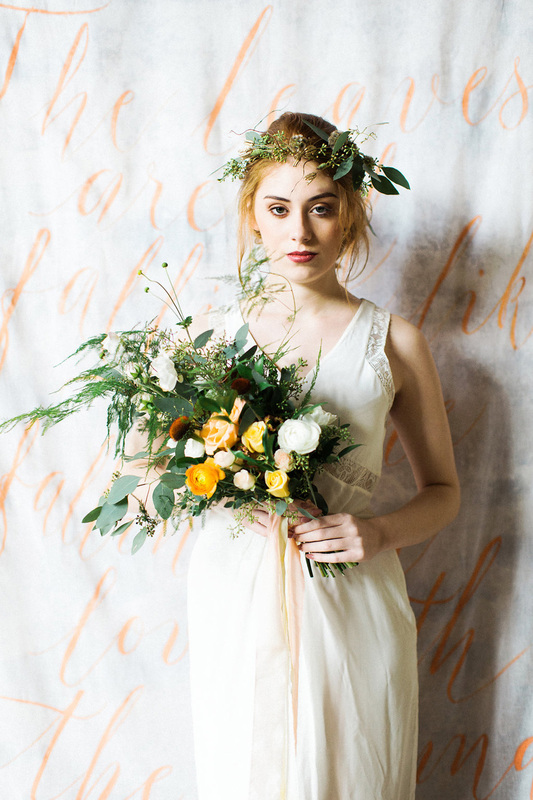 This wonderful shoot was styled by Louise from B.Loved and Styled by Louise, and featured on top wedding blog Elizabeth Anne Designs. 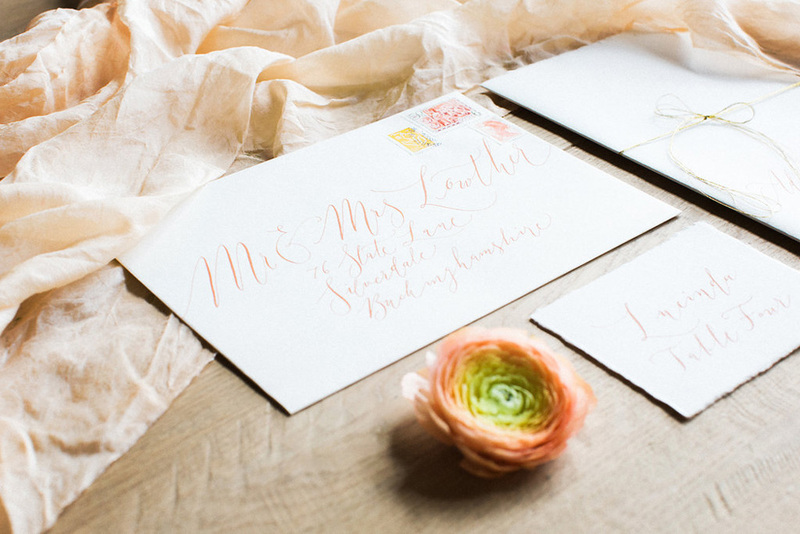 Stationery was 100% handwritten, with Saunders watercolour card and an apricot ink. 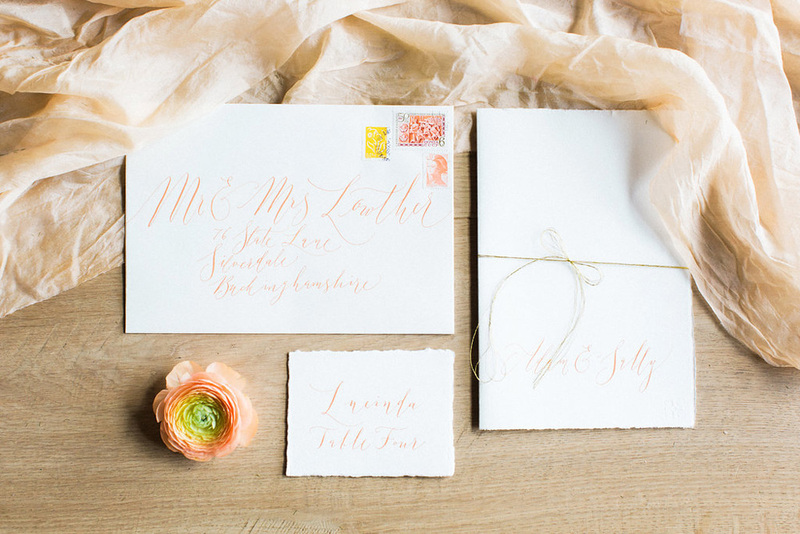 I tied the invitations with delicate metallic gold thread, matching the fine hairlines in the lettering. 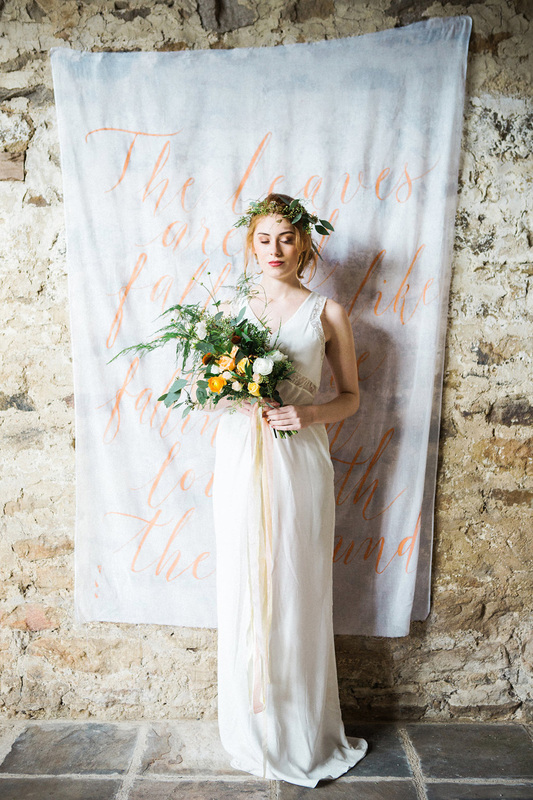 Melissa and Louise asked me to write a muslin backdrop in apricot ink, with the quote “The leaves are falling like they’re falling in love with the ground” – perfectly autumnal. 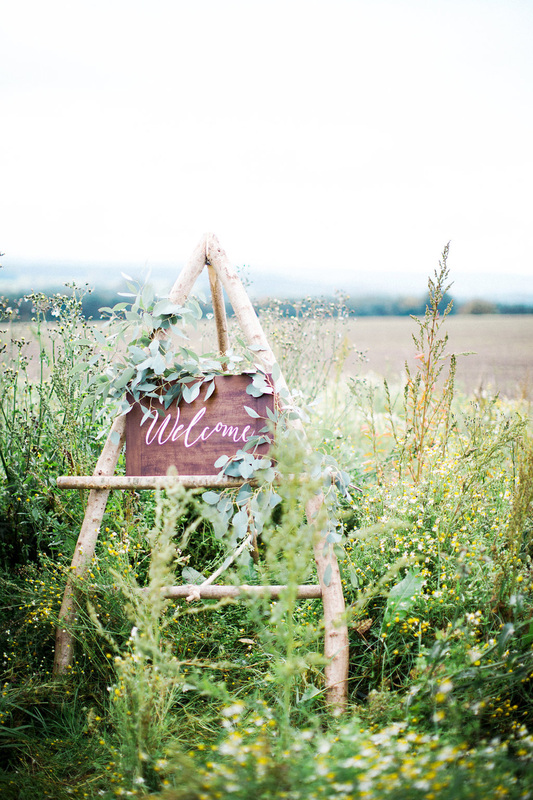 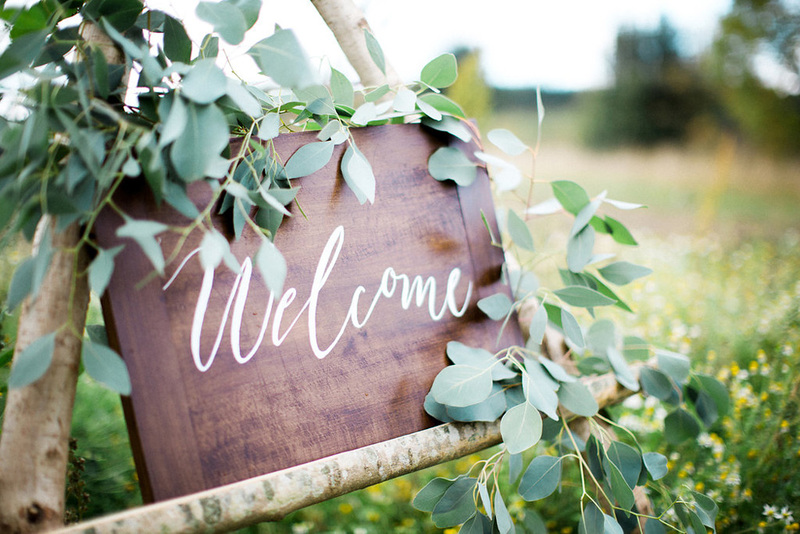 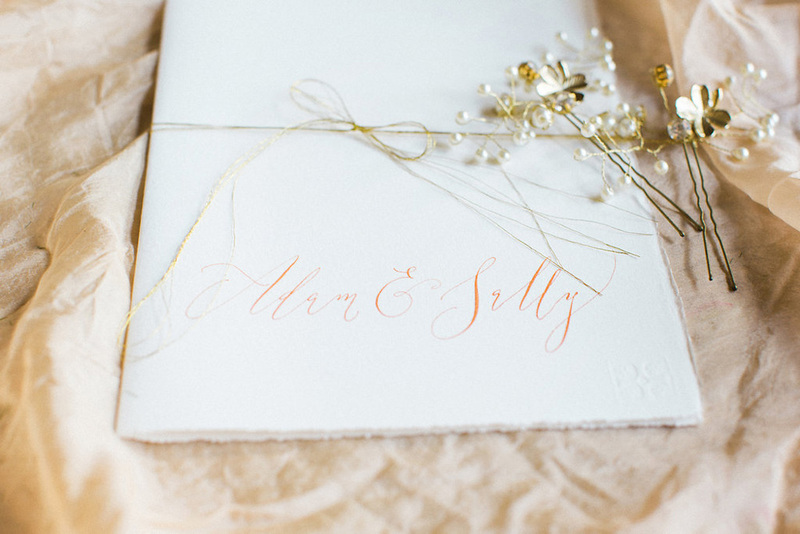 A simple welcome board was written in brush calligraphy – one of my favourite pieces! 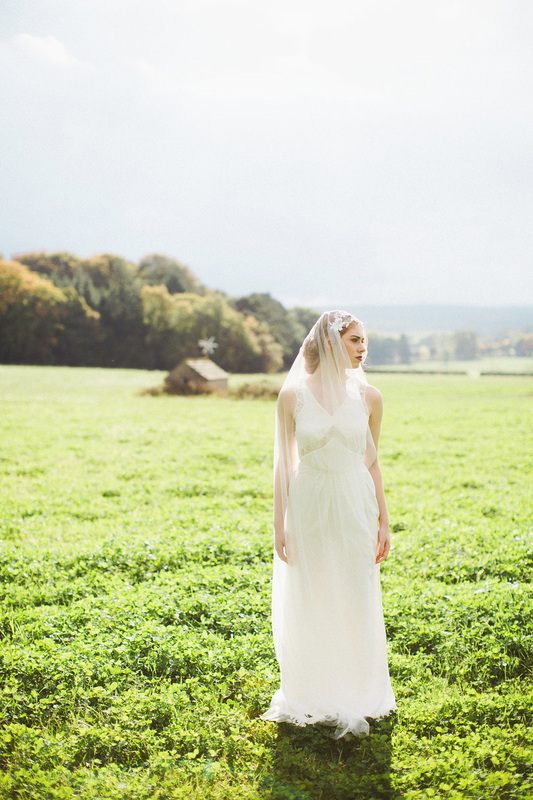 The entire shoot was beautiful, and this is all because of the amazing team chosen by Melissa and Louise. 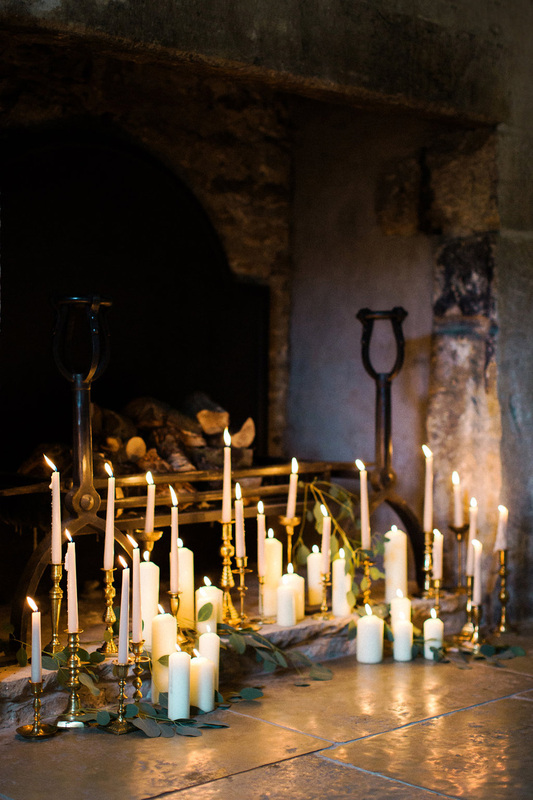 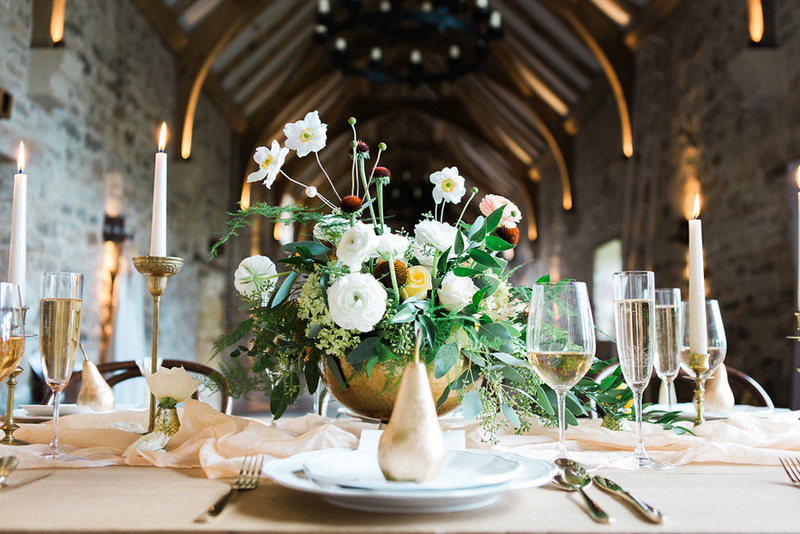 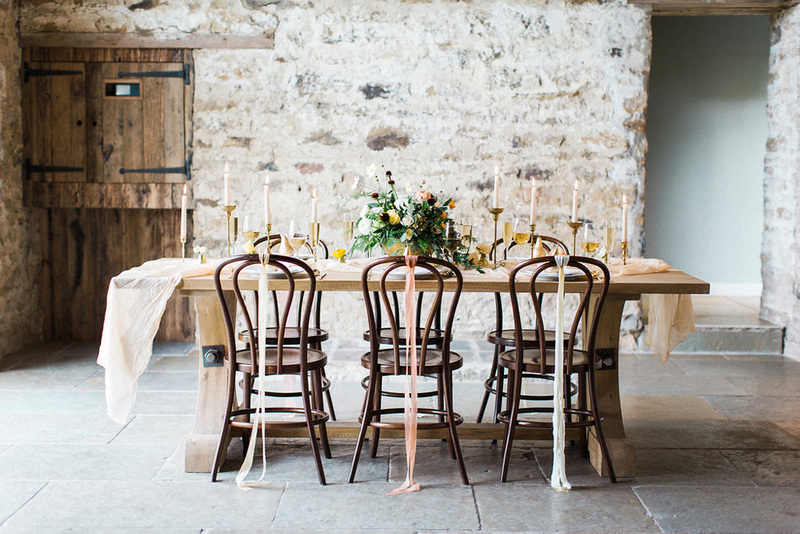 The magical location, Healey Barn, is a perfect setting for an autumn wedding and I love how it was styled for the day. 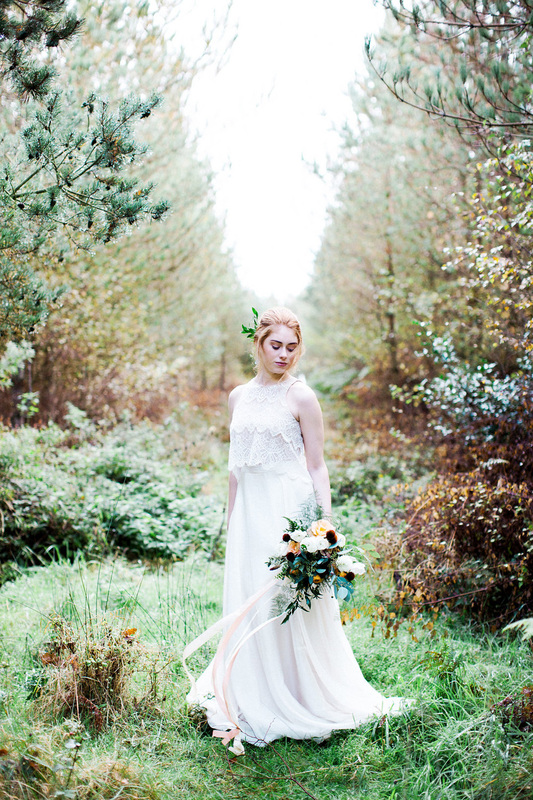 The gorgeous bride with her boho dress and fabulous bouquet makes this shoot one of the loveliest I’ve ever been involved in. 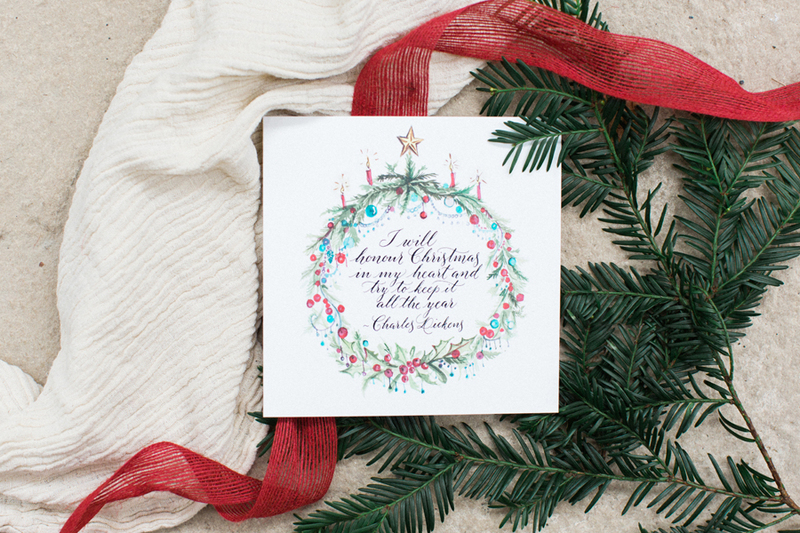 Thank you so much, Louise and Melissa!